The Packers really needed a win in Chicago on Sunday and boy did they deliver in a big way by taking advantage of some Jay Cutler mistakes (and some pitiful officiating) to win by a 38-17 final. I do think they got the confidence they had been lacking to look like the team we all thought they would be, but it won't be as easy as some may think against the Vikings. Minnesota did look pretty good in beating the Falcons behind some Jerick McKinnon/Matt Asiata ground-work and some Teddy Bridgewater air-work. They're not good enough defensively to slow down Aaron Rodgers but they can make it interesting. After a strong start to the season, the Panthers have looked more feeble as they have fallen twice in a row with less-than-impressive performances. Meanwhile, the Bears have been a little all over the place as they struggled to keep Aaron Rodgers off the field this past week and their offense was not pristine enough to keep up with the Packers. I like the Bears to get back on track because I think their offense has enough weapons to take advantage of a light Carolina secondary while I think Cam Newton doesn't have enough on the other side. Charlie Whitehurst ultimately was the man under center for the Titans on Sunday but, rather unsurprisingly I'd say, the Clipboard Jesus was pretty ineffective as the Titans were crushed yet again. This team really is a mess at this point and I don't have that much confidence in them on either side of the ball to where I think they can beat the Browns at home. The Giants have looked much better the past two weeks in big wins over Houston and Washington and Eli Manning has been a key reason why. With a new weapon in the surprising Larry Donnell joining the cause, Manning has been sharp of late. The Giants get to take on a Falcons team that is slinging the ball all over the yard but has been pretty bad at stopping the pass and really bad on the road. Given that, I think Manning's and the Giants' success will continue at least one more week. Blake Bortles was not able to lead the Jaguars to their first victory of the season in the first start of his career in San Diego, but he did look good. He made some mistakes and he didn't get that much help but he showed promise. I think he can make some plays for the Jags against a very inconsistent Steelers club, who lost in a shocking way to the Buccaneers at home, but Jacksonville's defense is not stopping anybody and their uncles and Pittsburgh has looked very sharp on offense this year. 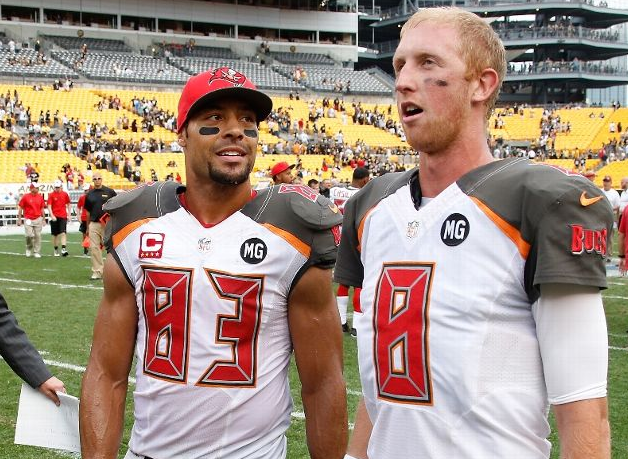 Considering how dreadful the Buccaneers looked in their first weeks, particularly in the destruction in Atlanta, it was wild to see them beat the Steelers in the last ten seconds when Mike Glennon threw a touchdown pass to Vincent Jackson to win on the road. And it's also been crazy to see the Saints sitting here at 1-3, coming off a dreadful loss to the Cowboys in Arlington. I still have (some) confidence in the Saints and I think them returning home will lead to a victory. But in this division, who the hell knows. Maybe it's just me, but I am very much stunned that the Cowboys sit here at 3-1 and tied for first place in the NFC East. I'm a little less surprised that the Texans are 3-1 but save for the other-worldly J.J. Watt, this is a club that hasn't looked all that hot even with that record. Given that DeMarco Murray has been tremendous for Dallas and Houston hasn't been stellar stuffing the run, I like Dallas to find some success on the ground and stretch it out for a win. The Eagles dropped a tough one in Santa Clara on Sunday as the offense was held entirely in check by the 49ers, plus San Fran found much success running on this Philadelphia defense. I don't see the Rams having the same sort of success this week as they fell apart down the stretch when they last played against the Cowboys. Whoever is under center for the Rams will have to be spot-on but I don't know if Austin Davis can carry this Rams offense enough to match the Eagles. This should be a good one as both clubs have looked pretty good thus far as the Ravens have looked impressive in winning three in a row while the Colts have dominated weak competition the last two weeks. Indianapolis has been throwing the ball all over the yard while the Ravens have been able to throw and run despite utilizing a hodge-podge of running backs. Andrew Luck will keep any team in any game but I think the Baltimore defense can make enough plays to keep Luck from killing them to get the win. It wasn't that impressive of a victory for the Lions over a woeful Jets squad but they were able to get it done when they had to while the Jets struggled to move the ball offensively. I'm liking what I'm seeing out of Jim Caldwell's club on both sides of the ball, and now they get another club with quarterback issues as Buffalo is going with Kyle Orton instead of the struggling E.J. Manuel. With Buffalo sorting out its quarterback problems, the Lions are my Lock of the Week. Arizona is one of the remaining undefeated clubs in the league and what is impressive with them is that they have started Drew Stanton for their last two games and have not missed that much of a beat. I do expect him to start this Sunday again for Carson Palmer but I don't think that even with their solid defense, their offense can keep up with the Broncos in Denver. Is the Geno Smith tenure with the Jets unraveling at the seams after a woeful performance against the Lions at home? Swearing at fans aside, It isn't certain yet how much leash Rex Ryan will be giving his young quarterback until he plays Michael Vick but even then, his offense has been stagnant and giving the defense nothing to work with. Considering they've got a tough schedule ahead, starting with a trip to San Diego to play a strong Chargers team, things are going to have to improve quickly. However, it won't be this week. San Francisco got a much-needed win over the Eagles at home after dropping a pair in a row thanks to some shoddy second half work and they started to look like the strong team many thought they would be. I like them to keep it up but this is a Chiefs club that was dominant on Monday night and has looked sharp two weeks in a row. Kansas City will keep it close but Frisco won't look as feeble as the Pats did. Could this be the worst team that Bill Belichick had fielded in Foxborough since 2000? Considering the destruction on Monday night in Kansas City and how mediocre the team has looked all season to this point, there isn't that much optimism. And now they are hosting perhaps the top team in the conference in the Bengals, who are coming off a bye week. I think Tom Brady will be under duress all day and the struggles for the Patriots will continue. So Kirk Cousins is who we thought he was, or at least he was on Thursday night as Washington got drilled by the Giants. Even more worrisome was how the defense was absolutely torched by Eli Manning in the air. Therefore, I don't have particularly high expectations for them this week with the Seahawks coming to town, even as Seattle is not nearly as fearsome on the road. what next change asian carp name, oh weait they did. black bear will become ? Lol, you are certainly in the mix for the silliest point made on this issue.